Fight Pigmentation With CeleVenus Whitening Series + Giveaway Worth S$870!! You are here:Home » Product Reviews » Fight Pigmentation With CeleVenus Whitening Series + Giveaway Worth S$870!! Looking for a solution to a brighter, clearer skin? 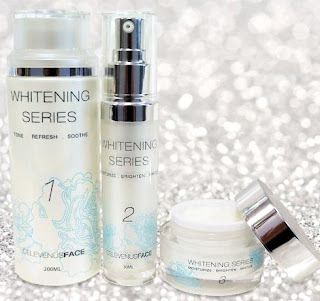 Achieve skin whitening & beauty from within, in just 3 steps! How does this sound to you? 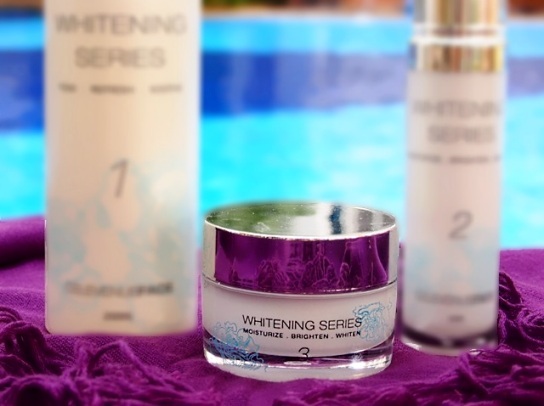 CeleVenus Whitening Series is perfect for people who's always out in the sun, or like to laze around the poolside like me. No matter how hard I tried to get rid of my those ugly pigmentation, they always keep haunting me like pests. Made in Japan, CeleVenus Whitening Series is specially formulated with Vitamin C & Chamomile for women who want radiant bright skin with fast result. This effective formula prevents & reduces pigmentation on skin. It hydrates, rejuvenates & whitens skin in just 3 simple steps. Reduces skin dullness & improve texture. Rich in skin softening actives, balances skin’s PH to its optimum value & reduces pigmentation. Formulated with Vitamin C, targets pigmentation, reduces spots & assists skin renewal process. It's non-greasy with a natural mild scent. I like the classy packaging & the steps 1 - 3 clearly indicated for easy reference. The products glide on easily & absorb quickly, leaving my skin feeling fresh & moist. Wanna own a set of this? CeleVenus is generously sponsoring some great prizes for 3 lucky readers! 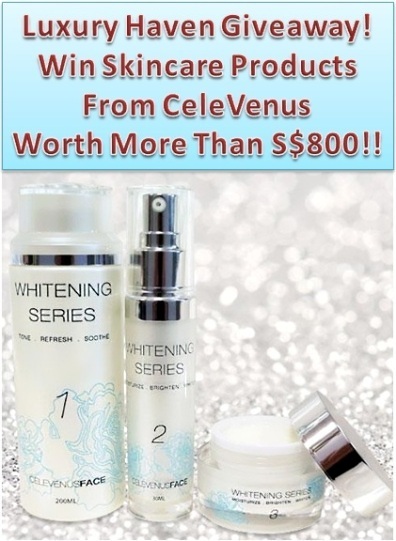 Celevenus Whitening Series (Toner + Lotion + Cream) worth S$600! 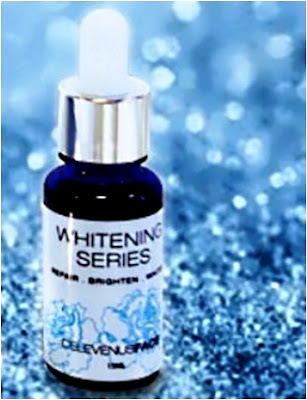 CeleVenus Whitening Serum (High grade vitamin C) worth S$150! 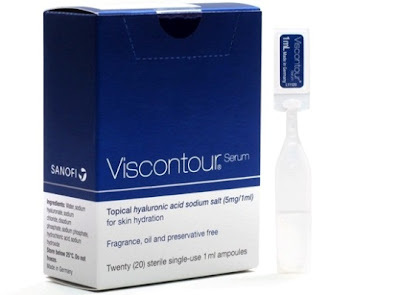 Viscontour Serum (intensive hydrating serum with hyaluronic acid) worth S$120! This Giveaway is only Open to Residents of Singapore. Contest begins 15 Jan 2013 @ 12 am & ends on 26 Jan 2013 @ 12 am. Winners to collect their prizes at CeleVenus. Thank you CeleVenus, for sponsoring this Giveaway! Good luck to all! Sorry for the long absence, Shirley. Have been diverted away by the complexities of life. A whitening cream is really cool, although I'm not sure if it'll work on my type of skin. No lady could resist being a fair lady. This giveaway sure looks attractive! My skin problems is at the age of 24 having a yellowish and dull skin,and don't know how should i start to prevent pigmentation. Looking for the right skincare products to makes my skin looks radiant and want it to stay this way as long as possible. Now is you and me against them. CeleVenus give methe reliever. Hello Shirley! Thanks for the giveaway! I have tons of pigmentations because when I was in my teens, and suffered from severe acne problems. So what was left over were ugly acne scars and reddish-brown pigmentations. But honestly, I refuse to let these scars affect my self-esteem, and hence I am actively looking for solutions to it! Currently I am using Shiseido White Lucent, and it has been working miracles, but I am nearing the end of the bottle already. Such a different concept of beauty. I've always wanted the golden glow of a tan. Australian shelves are lined with tanning products. Asian shelves lined with whitening products. Marketers sure do know how to play on our insecurities. Hi Shirley, excellent giveaway. You're the greatest always got lots to share. Drop by my blog when you free, I'd included your blog link and credited you in my latest posting for the NuNaturals giveaway. I need to reduce my pigmentation. I am looking forward to try the products. Am always having acne problems & hope that your products can aid me in reducing them. I have blemish and blackheads problems. Hope to find product to prevents and also reduces pigmentation on my skin. I have spots and pigmentation all over my face and neck. It's quite sad and I hope to have clear and fair complexion again. I have been to Celevenus Clinic personally and the doctor and staffs are very professonal and nice. It will be great to be able to use products from them to clear some pigmentation and spots. Great give away! Sadly I cannot participate. Due to my work which I need to travel a lot, the freckles keep appearing and my face turned dull, dark and dry. I hope to remove the freckles and spots. And have a pretty fair and moisturized skin so that I will have more confidence in my looks. tweeting this to my followers! Outstanding blog and superb ԁesign. I have pigmentations due to regular swimming and too much suntanning.And i also suffered from severe acne scar problems. I started using sunblock but it's too late already ! Hope CeleVenus Whitening Series is the solution for me ! I have freckles since Secondary School, this really make me lose of confidence. First time here. You have a very beautiful space. Glad to follow you. They look like amazing products to lighten my pigmentations, brighten my dull and hydrate my dry skin. I hope for a clearer, brighter and hydrated complexion. Wow....another giveaway! Sounds very good. You know, every time I go back, my in-laws think I'm pretty cos I look fairer. But that doesn't last long. I only need 1-2 days out and about and I'll turn into a dark horse......haha. No luck this time cos am not Singaporean :D, Good luck to all who qualified!! Really nice and effective post about skin care product...The Beauty Product Reviews are really beneficial to choose the best product. I have always envy gals with flawless fair and hydrated glowing skin, which mine is lifeless, dull and dry. I believe the awesome products will lighten and probably remove the freckles and pimple marks. Really hope to have a fairer, even tone, radiant and hydrated skin, and aged beautifully. These products look really useful in helping me achieve a fairer skin tone, and might even solve my freckle problems! I have a few spots on my face that I have been trying and trying to fade away. I'm hoping that this works! I have dark spots/pigmentation on my cheeks. Nothing seems to help in removing it! Hoping to win to help erase my dark spots. I have horrible black circles under my eyes, I'm hoping this product can help. My skin has been really dull of late- would love to give Celevenus a go!! My skin has been really sallow and dull of late- hoping that Celevenus would be the magic bullet! What a lovely giveaway Shirley!!!! Dryness and Oiliness in one face. And maybe due to stress and monthly period the pimples on my forehead started to come out. Hi Thanks for the giveaways awesome prize!!! hope i am lucy enough to be one! Thanks for the giveaway. I have big pore, dull, dry surface and oily skin. Hope I'm lucky at least this time. I wish I can have a chance to look better on this Chinese New Year! oh forgot to state my name on the previous post. Feeling sleepy every day probably bcos when my boy start his sch i woke very early and sleep quite late. And walking thru the sun.. sun exposure makes my skin worse.. i wishing something like CeleVenus Whitening Series can help me stay younger looks longer... Bye gotta fight with my dark circle now.